The grand opening to your business is an exciting time—and a lot of work. You might have the sign on the door and the keys for your locks, but you’re not finished. Personal responsibility is essential for any new business. Displaying products and hiring employees are the last steps in setting up shop. Get started with a checklist of the items you need for your office, including the tangible things (like signs) and intangible things (such as positive environment). Write out all the necessities and amenities you’ll need. An often forgotten necessity is a list of smart and safe practices around your workplace. Post an evacuation plan map so your staff knows where the quickest exit is. Add friendly reminders about fuse boxes, drainage pipes, or hidden stairs. Check your state and local safety ordinances. Buy and store your fire extinguisher. It’s easy to overlook health and safety. Employees get busy and forget to regularly wash their hands or wipe down counters. Good hygiene practices will keep your employees healthy. Especially in an open office, or in a store where people move around a lot, even a little summer cold spreads like wildfire. Keep everyone safe and healthy by reminding your workers to look out for themselves and others. Allowing employees a liberal amount of sick days will keep company-wide viruses at bay. Think of stocking the office the way you pack your car before taking a trip. If there’s something you might need down the road, you should make sure it’s stored and ready for when you need it. A safe and healthy work environment is made possible by participating employees. You have to motivate them and hold them responsible for their actions. MySafetySign’s 2015 Health and Safety Industry Survey showed the dangers of ignoring health and safety concerns in the workplace. What’s more challenging than implementing good health and safety practices at a new business? Changing poor practices after you’ve already started. A majority of the survey participants said they believe that their workers don’t understand, aren’t interested, or could prevent positive health and safety practices in the workplace. Once you’re in charge, you get to decide the safety measures in your store or office, and you set the tone and culture of your safe practices. A big part of the safety culture is including your workers in your plans. They can’t comply if they don’t know what the rules are. Simple conversations go a long way in helping you keep your staff apprised of all changes. Start with their input from the beginning and include them in your major plans. Make sure that your workers know they can come to you with additions or suggestions, or ways to make the rules clearer and easier to understand. Chairs are a critical part of office décor, but please skip the flimsy plastic ones. You may not need a work of art, but you should spend some time and money looking for comfortable and supportive seating. Chairs, you can replace. Your back? Not so much. So, you may want to take a look into standing desks, or a way to transform your desk into a standing desk at least part of the time, to relieve some of lower back stress. Exercising after work isn’t enough to alleviate the damage we do by sitting all day. 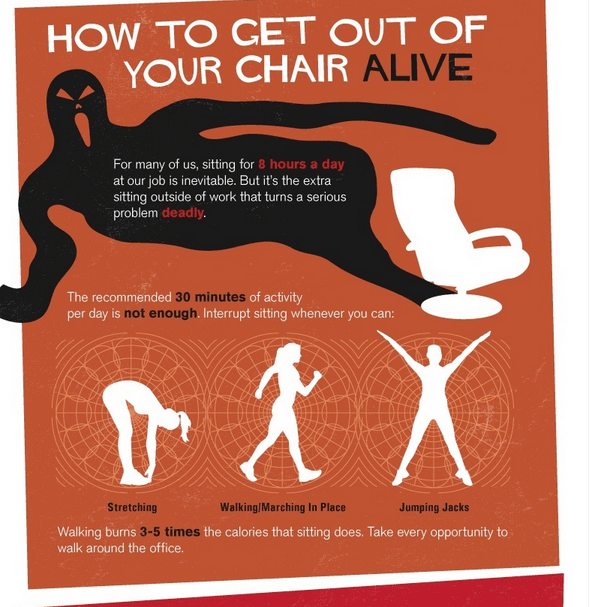 Encourage employees to get up out of their supportive chairs to walk around and stretch. In a panic, you won’t always remember where safety equipment is, and your employees probably won’t either. Owners need to keep track of essential tasks like stocking a fire extinguisher, labeling exits, planning evacuation routes, and posting emergency phone numbers. Be sure to maintain smart hygiene practices in your office. You can assume that your employees all wash their hands, but a simple sign can go a long way to increasing compliance. Post important signs at your entrance, near the restroom, the fire extinguisher, and the fire exits. Getting proper signage prevents confusion and helps you make sure that everyone knows where to go during an emergency. You’ll never know how much you’ll need your emergency equipment until you’re looking for it. Be as prepared as possible so no one panics. This is most important when you’re getting started, to make sure you’re not playing catch up later on, or finding it necessary to add extra safety precautions that you didn’t think about the first time around. The time to post a sign about your fire extinguishers and emergency exits is now, not when Bob has that problem with the microwave again. You also need a plan of action for accidents and violations. Once you ensure that everyone is physically fine, you need to take steps to make sure that your employees are aware of what your expectations are, and what they can do to meet your common goals. You’re busy, but it’s also important to recognize that your brain isn’t meant to work in an unending loop. Get up to move around every 20 minutes, or take a 20-second break to look at anything but your computer, to save your brain and your eyes some trouble. Stepping away from the computer or the sales counter helps you focus your mind elsewhere, which will help keep you alert. While a safe office is the ultimate reward, employees rarely appreciate the long-term incentive. Encourage your employees to regularly look out for safety hazards and to be cautious around dangers in the office. Offer company-wide rewards for every week, month, or quarter you go without an incident. Nominate safety workers to help maintain order in your area. Hold yourself accountable as well. Make a set of rules and be aware of how you maintain safety and quality control. Have regular safety meetings to remind staff about any changes in policy, or new additions to your safety protocol. Some workplace hazards aren’t necessarily the most obvious ones. Your workers probably worry about things that you’re not aware of, so go out of your way to work with your employees to address their concerns. If your schedule does not allow for time for these conversations, employ HR or a designated employee question and retention team to make sure that your staff knows that they always have someone they can speak with if they need anything. Make sure to follow up and stick with your original goals. Consistency goes a long way. Keeping your employees safe and healthy prevents accidents and injuries. Healthy employees maximize productivity and output at work. Remember—an efficient workplace is a safe one. 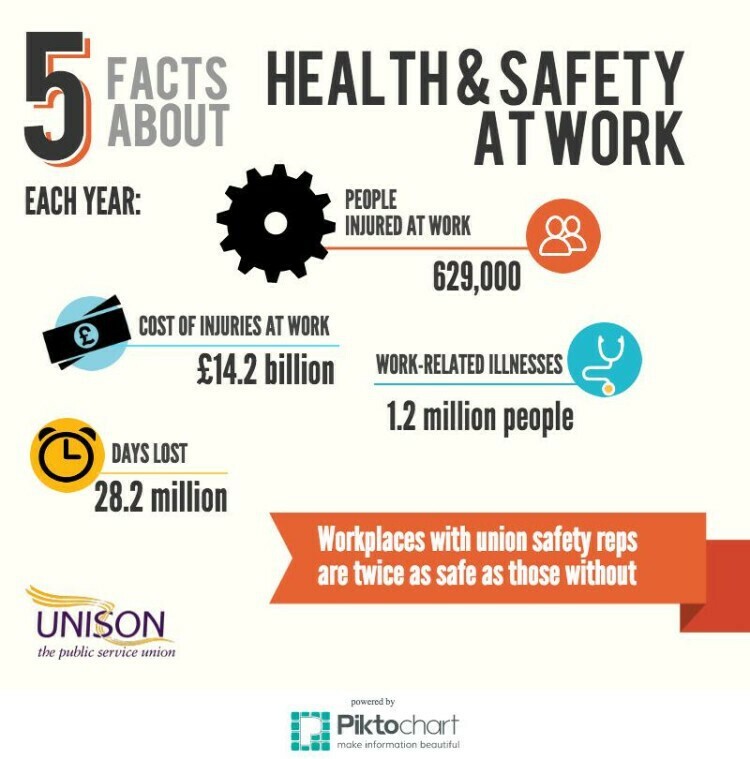 What does your business do to ensure employee safety? Do you follow the steps listed above, or do you have any to add?